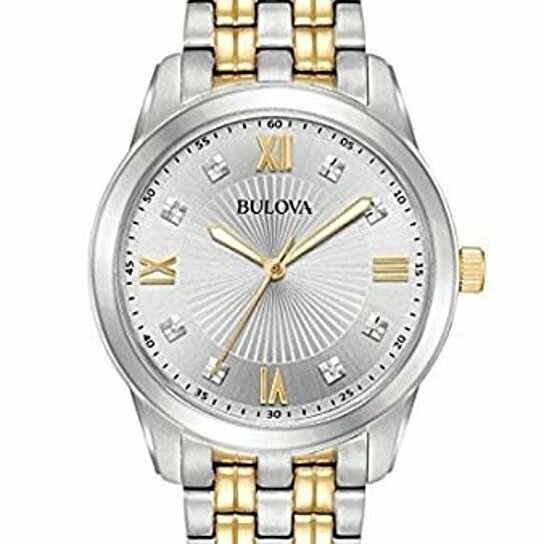 Update your look with this refined two-tone stainless steel Diamond collection watch from Bulova. Featuring a silver-tone dial with 8 diamond markers, mineral crystal, and three hand timekeeping. This dress watch will transition from day to night with ease.